Ohio Farm Bureau is continuing efforts to protect landowners’ rights during pipeline construction. 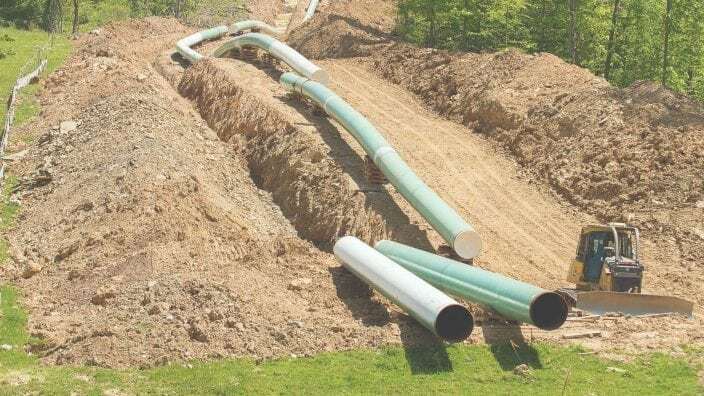 In southern Ohio, TransCanada’s Columbia Gas Transmission is starting a new project, Buckeye Xpress, that will upgrade a pipeline that runs through Jackson, Vinton and Lawrence counties and part of Gallia County. OFBF recently filed a motion with the Federal Energy Regulatory Commission, asking for permission to participate in the project’s judicial proceedings. Previously, Ohio Farm Bureau has represented members during construction of the E.T. Rover and NEXUS pipelines to address the special needs of Ohio’s farm and pasture land including topography, soil type, drainage requirements and water resources. “Several hundred rural residents will be impacted by construction, and Farm Bureau wants to make sure landowners’ easements are properly negotiated and agricultural land protected,” said Dale Arnold, OFBF’s director of energy, utility and local government policy. Specifically, Ohio Farm Bureau wants to ensure agricultural land is not misclassified as “open land” simply because the land currently doesn’t have crops growing on it or animals grazing it. Having land classified for agricultural use is important because the company must follow specific guidelines on protecting it during construction and remediating it after work on the pipeline is finished. OFBF also is concerned that Columbia is relying on language found in easements that date back to the mid-1940s and don’t address the amount of land needed for laydown yards to park vehicles, as well as to store equipment and materials. That land also should be repaired and remediated after construction, Arnold said.